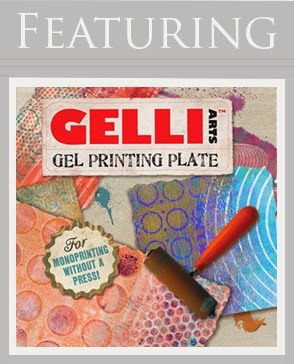 Join us over the next few weeks as we explore making colorful prints using a Gelli Arts Gelli Plate. We've even slid our art tables side-by-side and took pictures for you each step along the way! 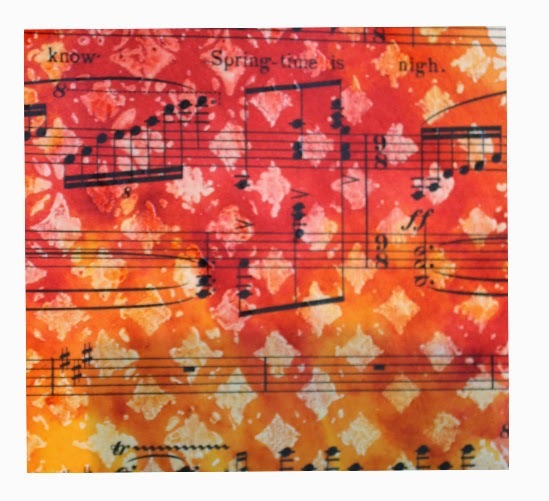 Not only that, the fun continues as we share our “reveal” posts showing how our individual prints were transformed into creative projects. It's reveal time... here's the print I started with. You can view the step-by-step process for creating it HERE. To create my card, I simply used my print as paper from which I could cut my Creative Die, Penny Black 51-030 Field of Dreams.